When we think about cases that are really rugged in form, the kinds of things that come to mind are these bulky, thick, and tank-like cases. Yes, their sizes help to cushion the blow from an impact, preserving the phone on the inside from being damaged, but their immense sizes are rather unsavory. Enter the Griffin Survivor Core Case, which somehow still manages to retain the protection of a rugged case, but in a more streamlined, svelte package. Certainly, we know how fragile the iPhone 6 Plus can be, especially when metal and glass come into contact with the hard pavement. Visually, the case embodies the normal style we tend to see in ruggedized cases – like how it sports tough TPE rubber bumpers on all four corners of the case. 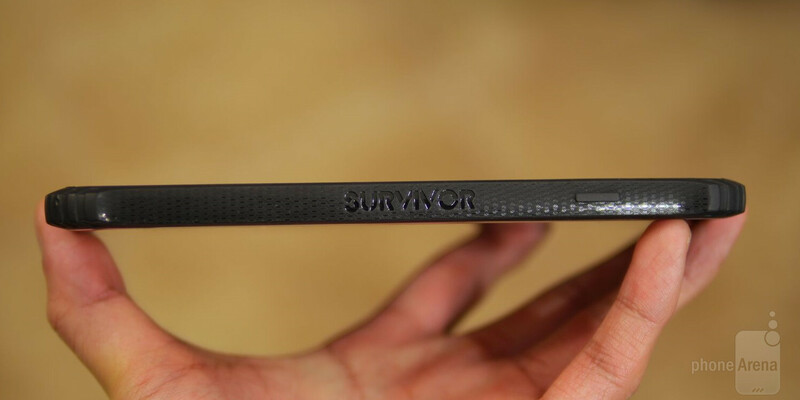 Far from being stylish in any minute way, the Griffin Survivor Core might follow the trend by looking generic, but there’s one thing that stands out. Well, two actually. First and foremost, we have to point the case’s skinny construction – one that minimally impacts the phone's overall size. It’s incredibly svelte for a case that’s meant to offer drop protection up to 6.6 feet. Secondly, it features a shatter-resistant polycarbonate back casing, which is transparent to keep the focus on the iPhone 6 Plus’ iconic, premium design. Cutouts are found throughout the case, naturally, but the power button and volume controls become too stiff to the touch – reducing their responses dramatically from their normal feels. Needless to say, the back and sides of the phone are adequately protected, but the front is left exposed. Indeed, there’s a lip to recess the phone’s display, so that it doesn’t come into contact with surfaces when it’s placed down, but it’s still prone to damage if it’s dropped at some weird angle. Speaking of drop protection, we’re confident how it’s able to withstand falls from around the 4 feet range, but we cringe when it’s dropped from a taller height. Of course, it’s able to withstand them as well, but its form-fitting nature and streamlined construction just sometimes confuses us into believing otherwise. Still, we’re assured it’s protected. What’s especially nice for a ruggedized case like this is how it’s priced super aggressively at $29.99, which obviously undercuts some of the bigger names out there – namely Otterbox. If you’re willing to compromise on its generic design, this is a perfect case because of its superior drop protection and streamlined construction. Really a very nice case. No need to hide your phone plus solid protection. Is the back of the case resistant to scratches?